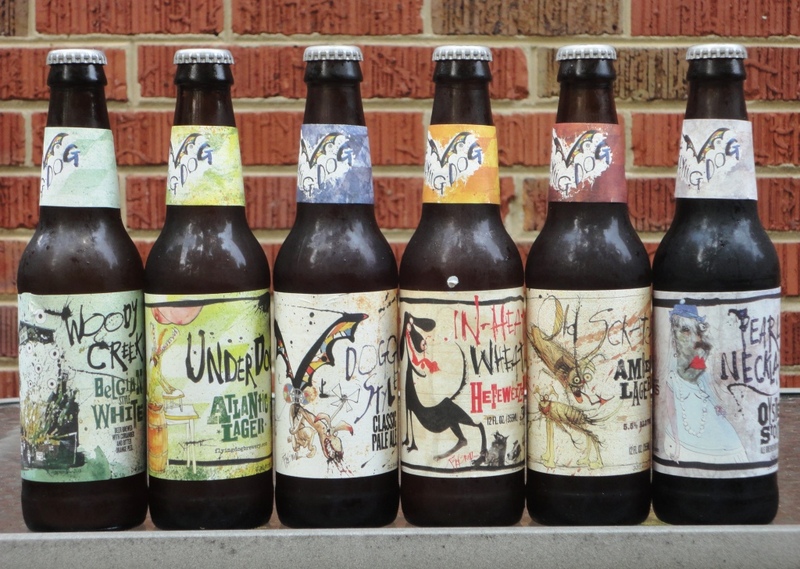 In this installment of the Beer of the Week series, we highlight Flying Dog Brewery from Frederick, Maryland. 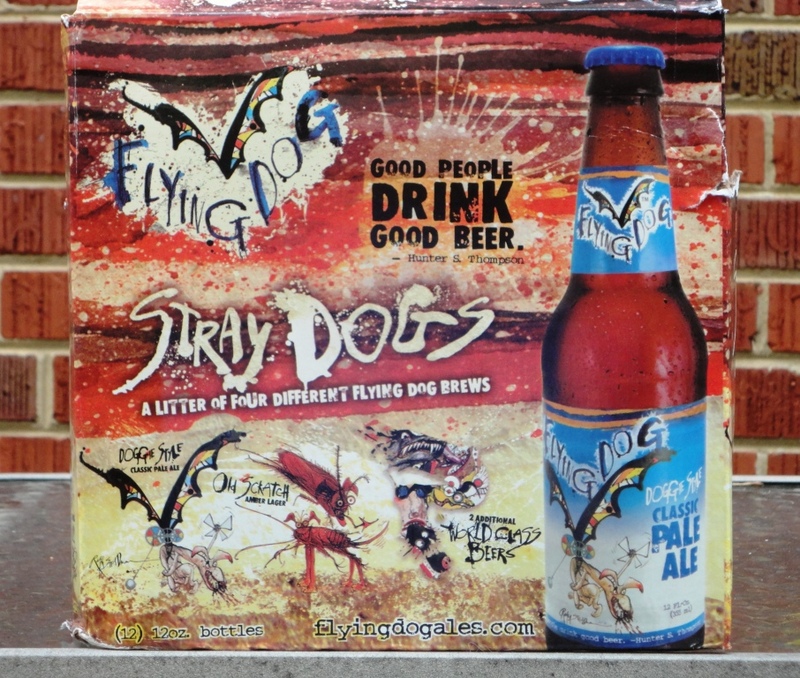 This post is about the Stray Dogs, Flying Dog’s mixed 12-pack of bottles. But I can’t write about Flying Dog without thinking about the Flying Dog beer stand at Oriole Park at Camden Yards. I’ve been to a couple of games at Camden Yards this summer, enjoying the Orioles’ resurgence along with great Maryland beer. You can find Flying Dog on the lower level, between sections 23 and 29. If you’re there on a Friday, stop by Flying Dog for Firkin Friday, and enjoy cask-conditioned brew. Check the firkin schedule here. Pearl Necklace Oyster Stout (5.5%), brewed with local Rappahannock oysters, proceeds from the sale of this brew benefit the Oyster Recovery Partnership, which coordinates and conducts oyster restoration in the Chesapeake Bay. Most mixed 12-packs have four different beers – I like getting six different beers to try in the Stray Dogs mix pack. I’ve got another pack of Stray Dogs for my Labor Day weekend camping trip.